From TED Talks – a great presentation from Dutch kinetic artist Theo Jansen who demonstrates his lifelike kinetic sculptures. “Jansen has been working for 16 years to create sculptures that move on their own in eerily lifelike ways. 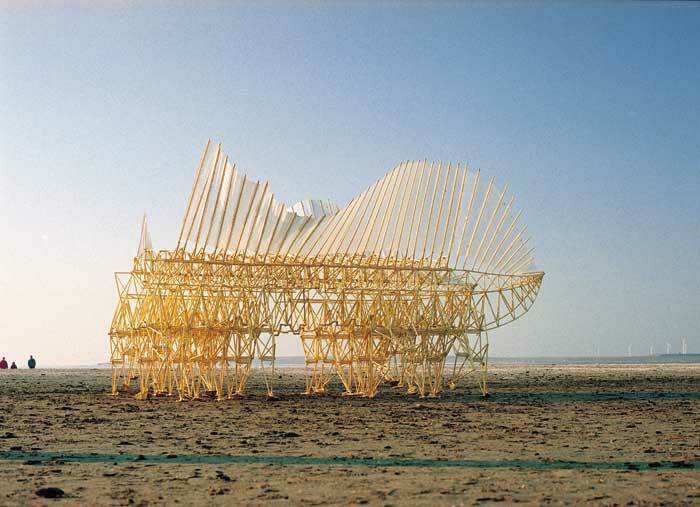 Each generation of his “Strandbeests” is subject to the forces of evolution, with successful forms moving forward into new designs. Jansen’s vision and long-term commitment to his wooden menagerie is as fascinating to observe as the beasts themselves. To see more video of Jansen’s fascinating work, visit StrandBeest.com.